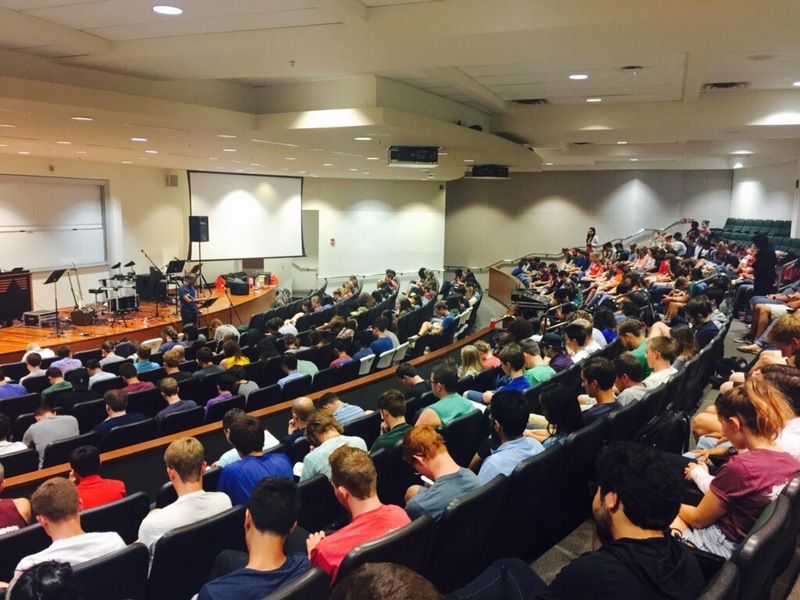 Confessions of a Campus Missionary: A Great Start To A Great Year! This year at UT Dallas & Richland College, I have begun spending time with a student from Costa Rica and one from Chicago. They both come from polar opposites of the world but the same theme has emerged in both of our relationships: they found community in our FOCUS ministries. College ministry affords these opportunities to have worlds collide and see how the name of Jesus can be proclaimed higher & higher! I am so grateful to be a part of what God is doing this year and I would appreciate it if you prayed for the holy spirit to move in the lives of our students. Our Dallas leader team meeting up for a weekend of practical leadership training! So thankful to work with these men & women! One of our most successful outreach events every year: Ultimate Frisbee/Kickball! We brought so many students and they all had a blast playing sports, cooling off, and doing it again! Many students that came to this event got plugged into a core small group! Before the start of every year, we have a combined worship event with all of the other campus ministries. The event was a huge success and we brought so many students to come & share in what the Lord is doing on campus! UT Dallas plans and facilitates a variety of welcome-week events every year and for us, that is great! We gather our students, show up and meet people! This was the comet beach luau and we loved getting to be around all of the students! This was our first Friday Night Fellowship meeting of the year! We nearly filled out a room that we would barely fill up halfway last year! Praise God! Our Richland student organization fair! We met so many students there and got a lot of sign-ups for our group! I really enjoyed getting to be on campus and be a part of what God has planned @ Richland! Another panorama picture of our Richland organization fair last week! We met so many students! A picture from the back of our Friday Night FOCUS meeting! I had the privilege of preaching our first two weeks of Friday Night FOCUS about our theme, "Send Me". We discussed how Jesus was sent into the world & so are we! We also discuseed how Jesus was sent into the lives of others & so are we! It was such a privilege to share what God has placed on my heart! Thank you so much for your support & partnership! I am honored to get to be your missionary and share the gospel with students every day. I couldn't have asked for a better team to stand side-by-side with me on campus, thank you for your support! Please if you'd like prayer for anything do not hesitate to ask me! I would be honored to pray for you. Thank you for your support & I will talk to you soon!